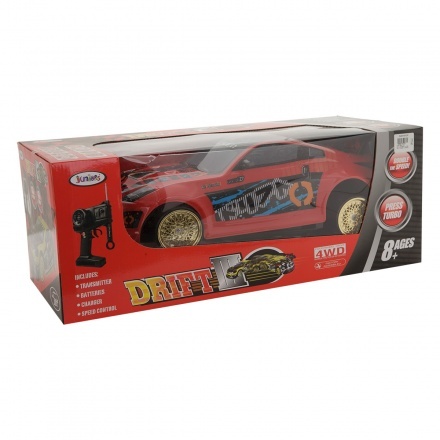 Enjoy the experience of motoring with this radio control vehicle. It features a utility battery, charger and transmitter for convenient functioning. The Turbo button accelerates the speed to double the fun of playing.